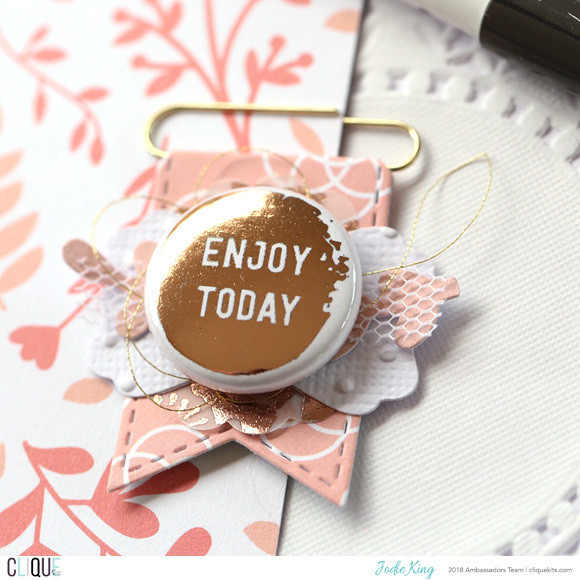 Hi everyone, popping in quickly today to share some pretty little planner pins made with the gorgeous May Riga kit from Clique Kits. 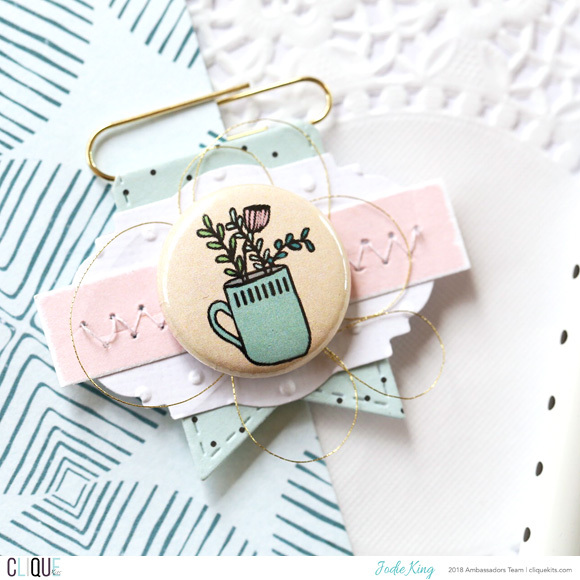 Planner pins can be used, well of course, in planners! But you can also add them to pretty much any of your projects. 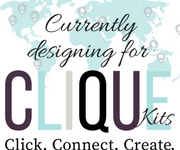 Think pocket page spreads, traveller's notebooks, even to a cluster in your larger layouts. Or what about as a sweet little bookmark for a gift? I've used the two exclusive flairs from the May kit in these pins, how pretty is this gold one!? I've also added some tulle to two of the pins for some extra texture, as well as some machine stitching. The next time you have a spare five minutes of crafty time, why not try making some of these cute little pins.